​Barcelona manager Ernesto Valverde has praised Lionel Messi's "extraordinary" performance following his hat-trick against Real Betis in La Liga. Following Ateltico Madrid's defeat to Athletic Bilbao the previous evening, Barca's 4-1 win at Benito Villamarín Stadium has moved them ten points clear of their title rivals. Following a stunning free-kick and a smart first time finish in the first half, Messi completed his 33rd La Liga hat-trick with a magical chip from outside the box, after which the Betis fans collectively stood, applauded and sang the name of one of the greatest footballers of all time. "Our opponents suffer because of Messi, but they also enjoy him," Valverde explained in his post-match press conference, as reported by Marca. "His match tonight was extraordinary, he's scored three goals and also made a fourth. The public has recognised his talent, they are enjoying seeing him in his prime and they respect him for the player he is." He added: "We came from an intense match in the week," referring to his side's 5-1 over Lyon in the Champions League. "We pushed hard and lived dangerously, we knew they were going to press us and take the ball for long periods. "They played in an uncontrolled way, they took risks and we were a threat every time we crossed the halfway line." 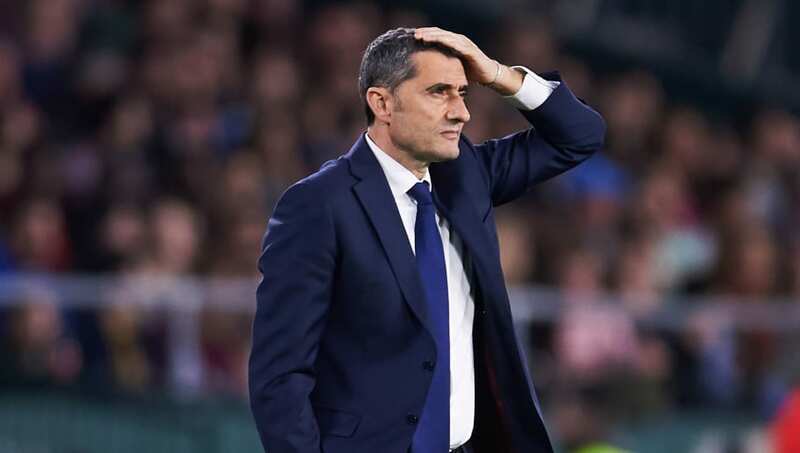 Valverde also insisted that La Blaugrana have not won anything yet, but did concede this victory was a huge step towards the club's 26th league title. He stated: "Today was a vital match, especially after Atletico's defeat. "We've taken an important step, but we have to be cautious. It's a league and we have to be careful because there is room for teams to catch up, we have to keep going."